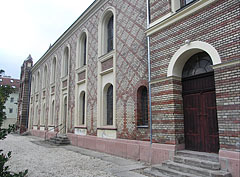 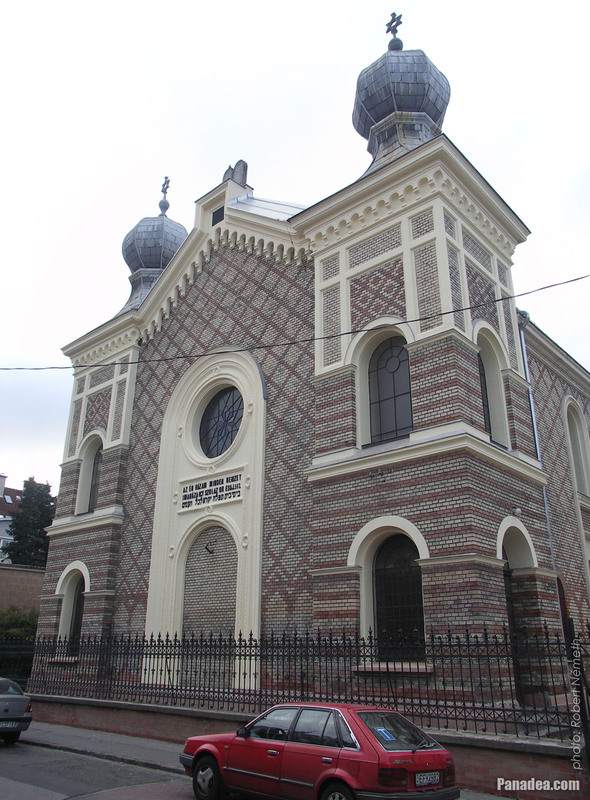 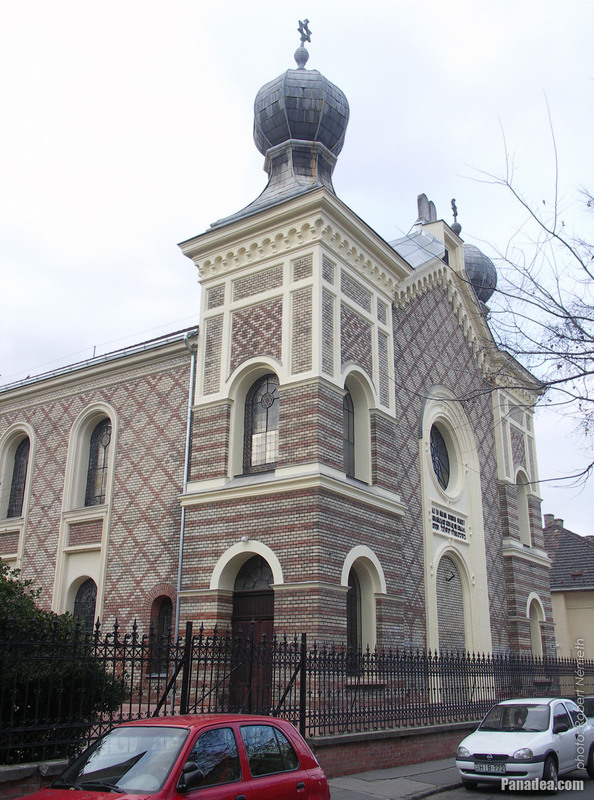 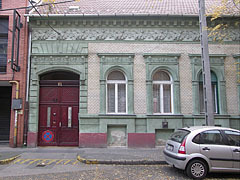 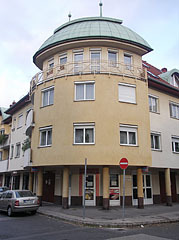 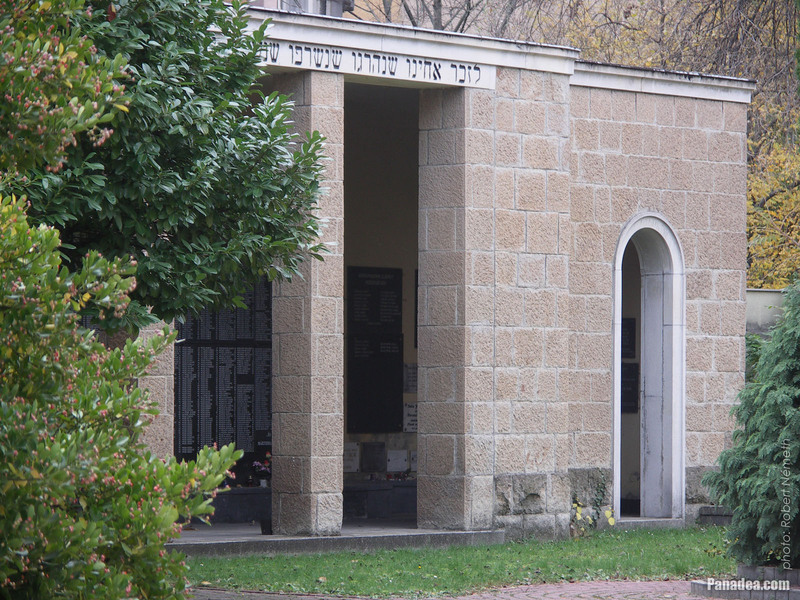 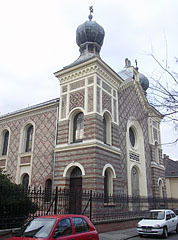 This Neolog synagogue (Jewish house of prayer) was constructed between 1885-1886, designed probably by Jakob Gärtner. 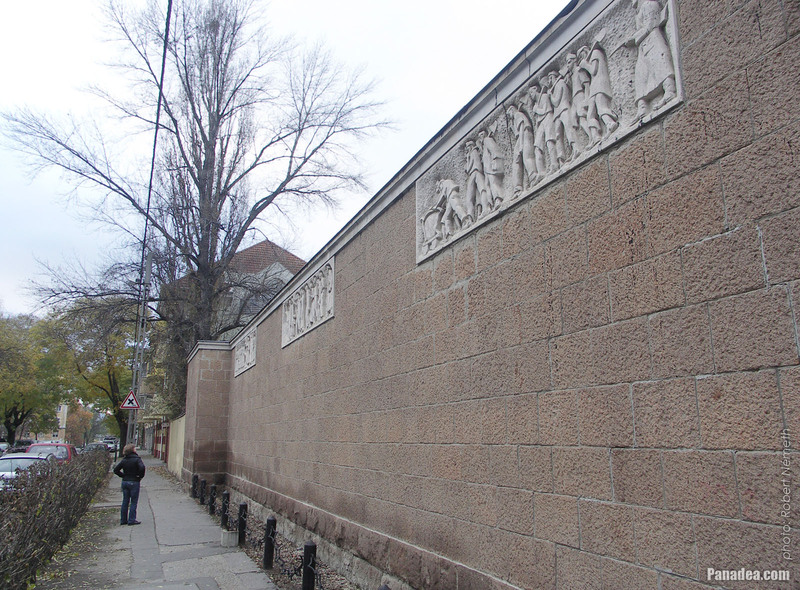 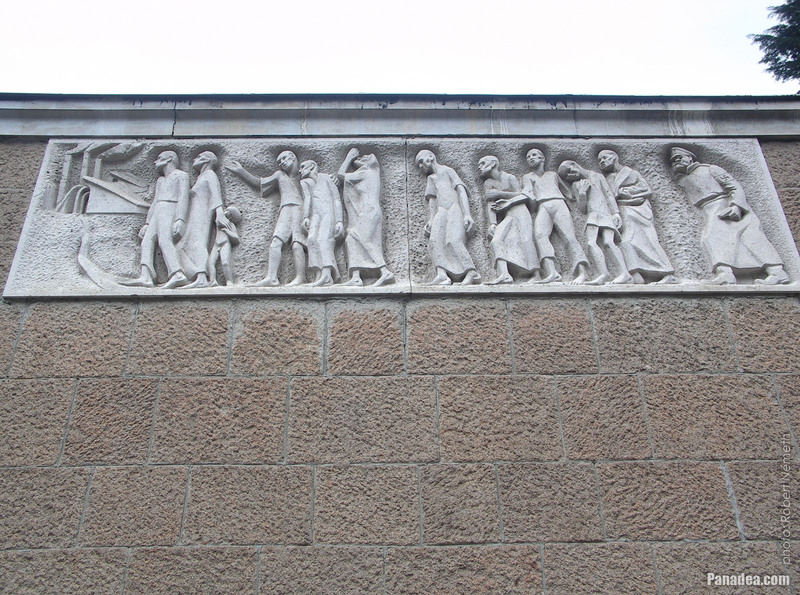 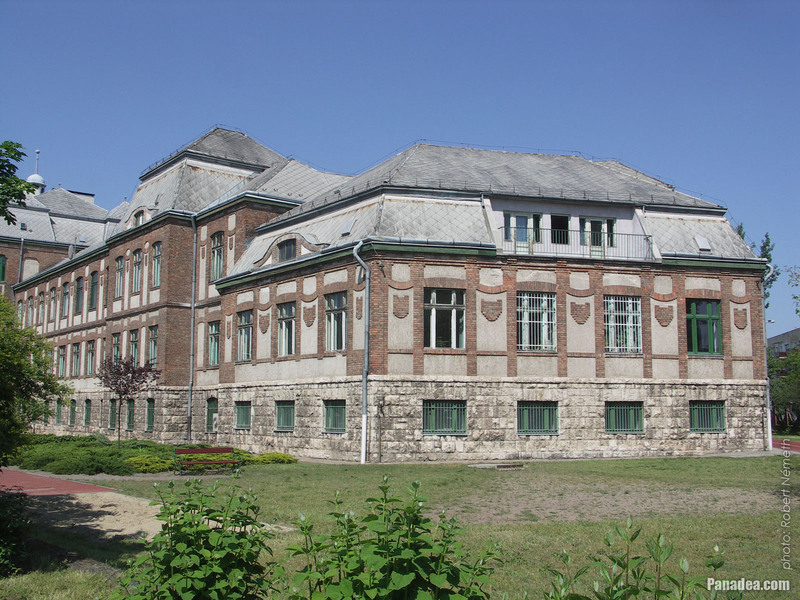 The impressive school-palace was designed by Ernő Foerk architect, built in 1927. 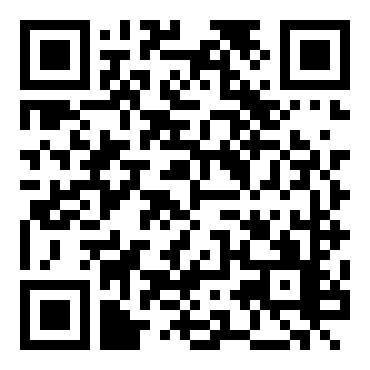 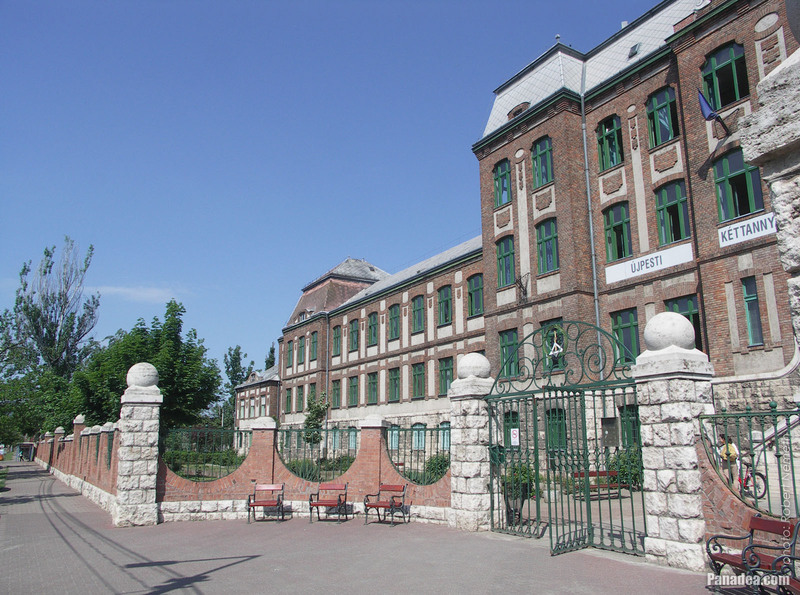 The predecessor of current school was the first vocational school of wood industry, it was established in 1895. 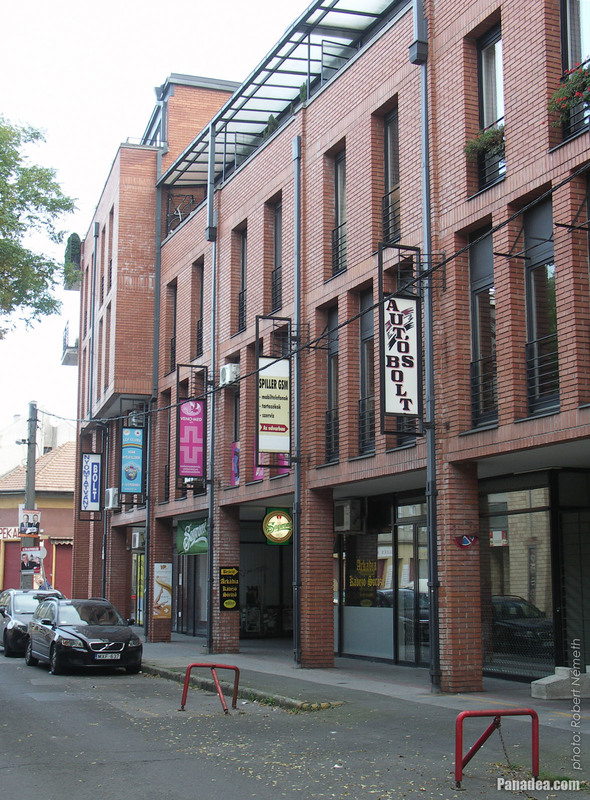 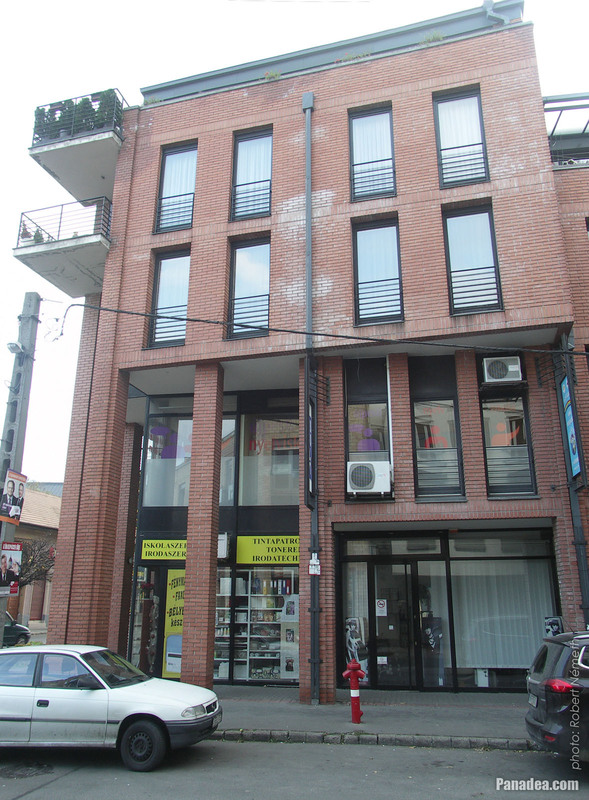 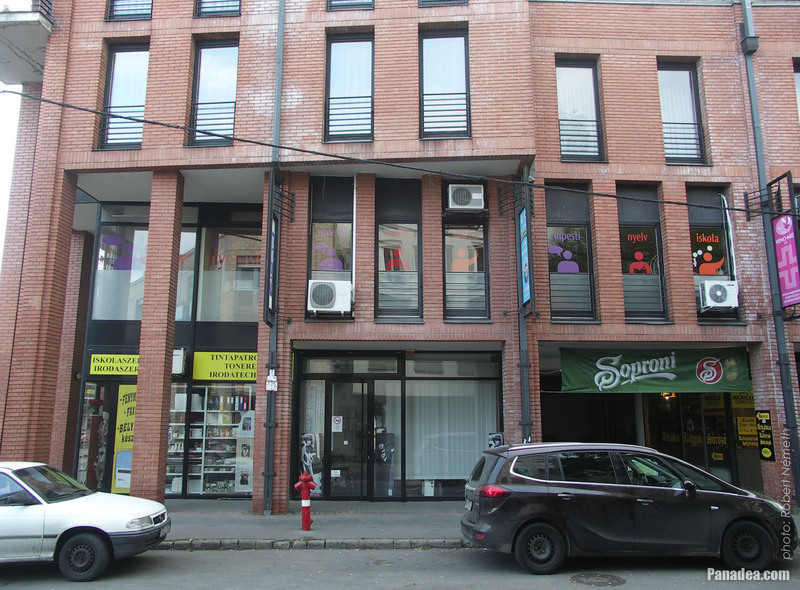 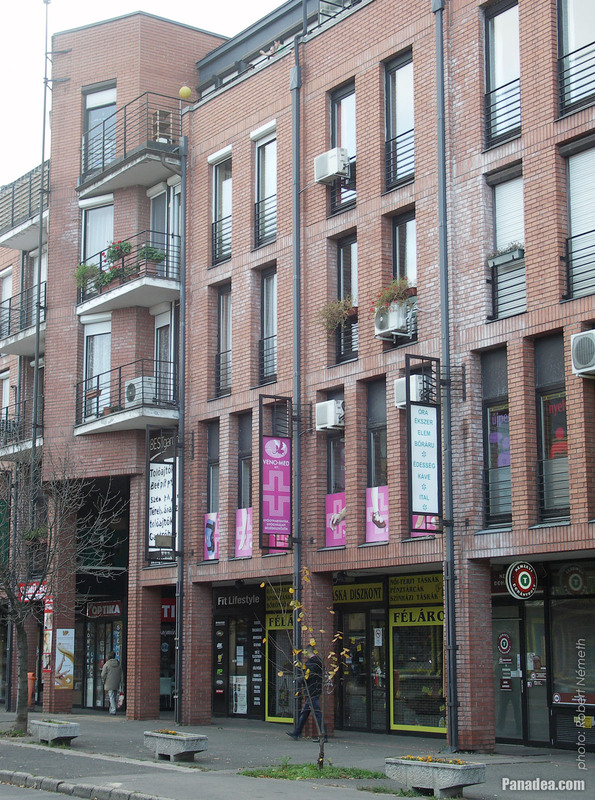 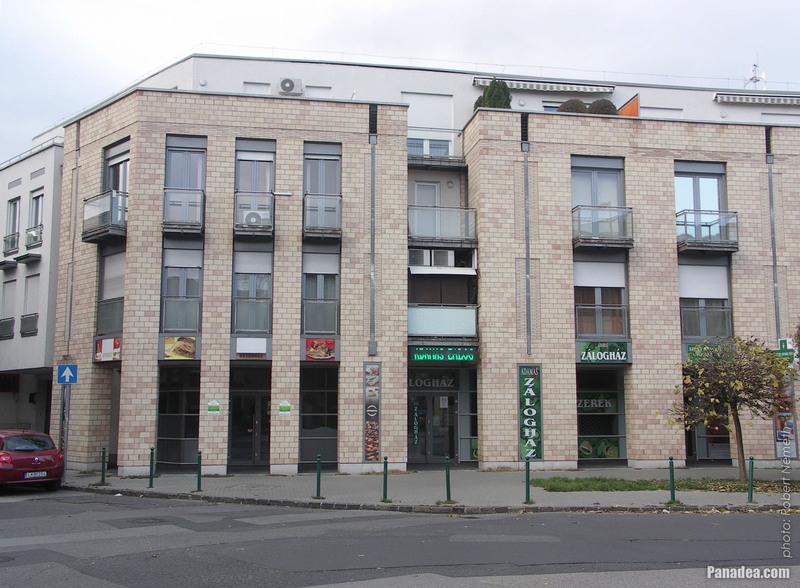 Somewhat ironically there is a so-called National Tobacco Shop ("Nemzeti Dohánybolt") right next to the pharmacy. 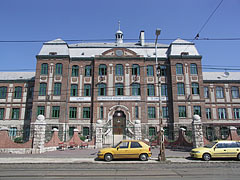 Its construction works were begun in 1874, but it was fully completed in 1911. 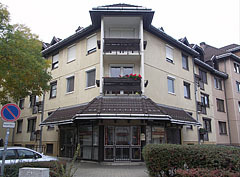 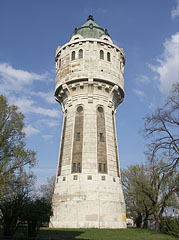 Initially it had just an iron tower due to the lack of money. Considering the interior structure it is a three-nave hall with choirs on the sides. 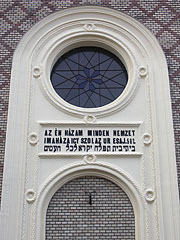 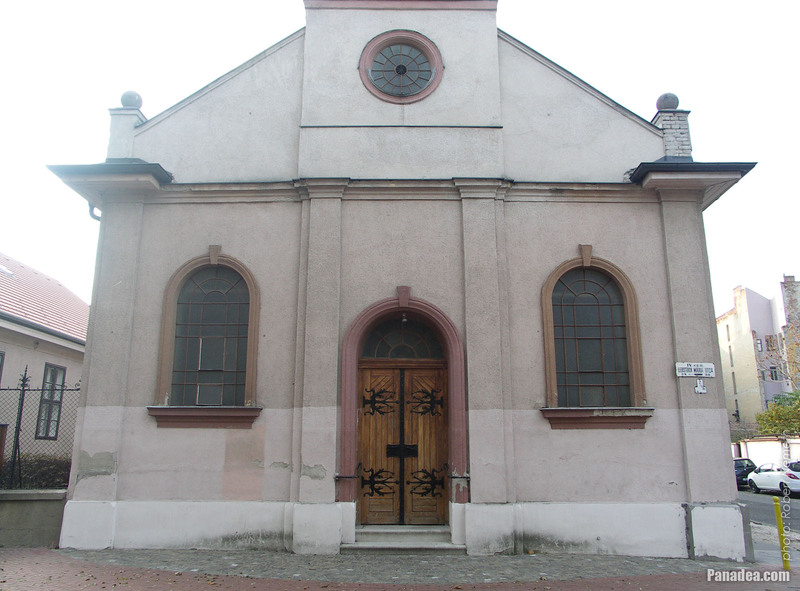 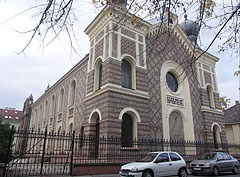 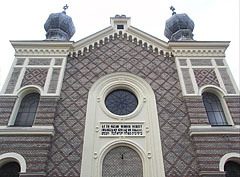 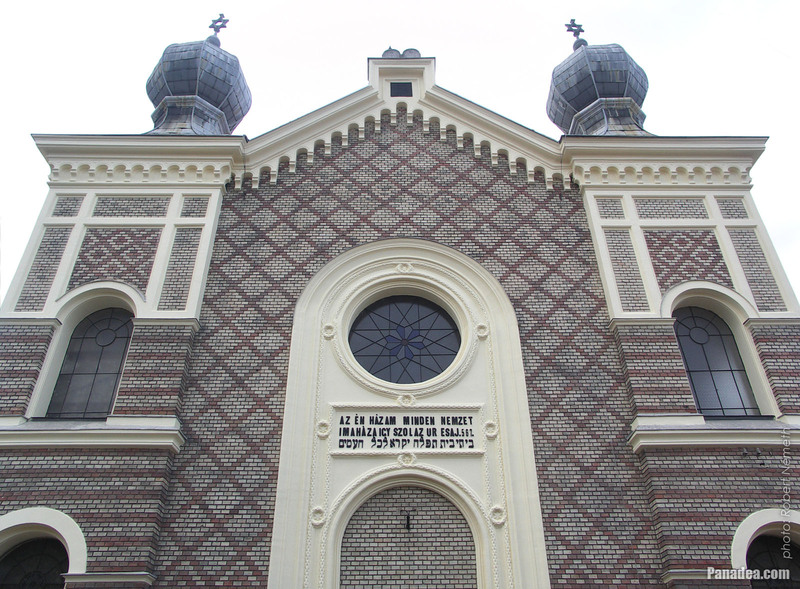 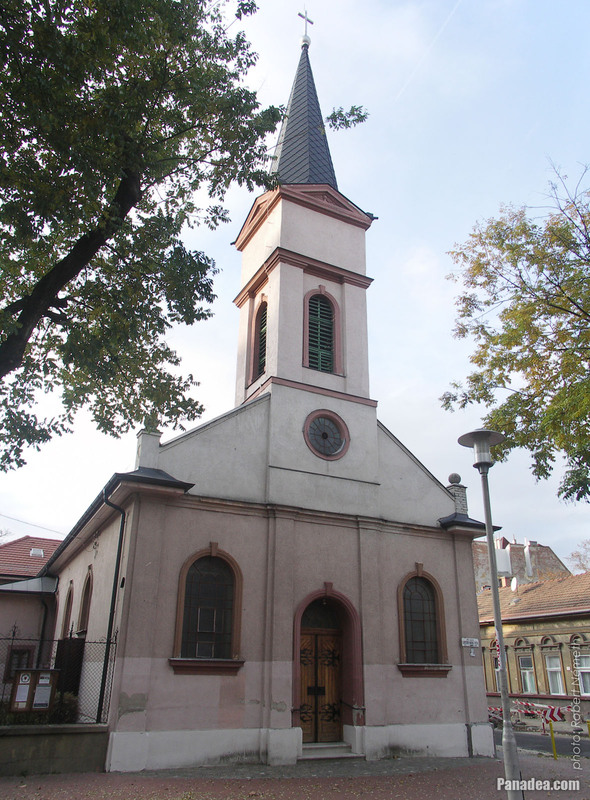 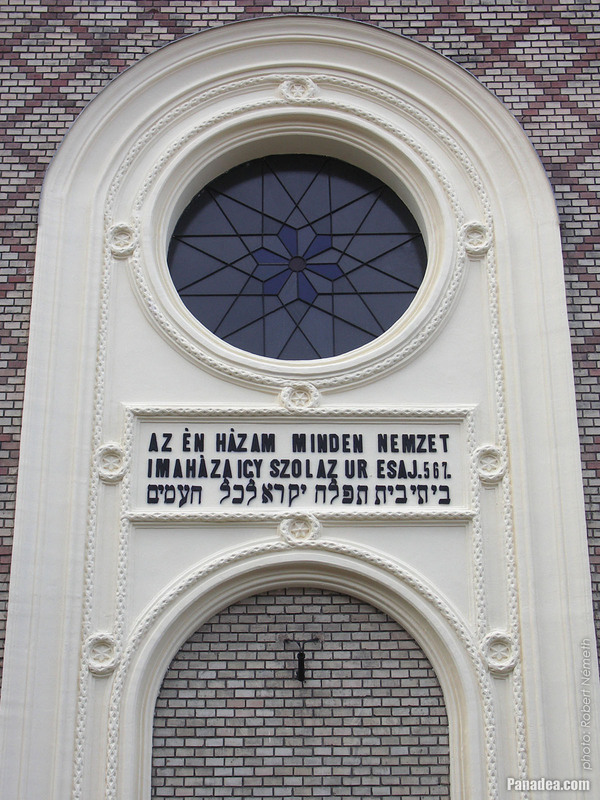 Újpest synagogue with an inscription on the main facade: "My house is the house of prayer of every nation"
The current church organ was brought here from the Kecskemét Synagogue, after the original one of the Újpest Synagoge was damaged in the world war. 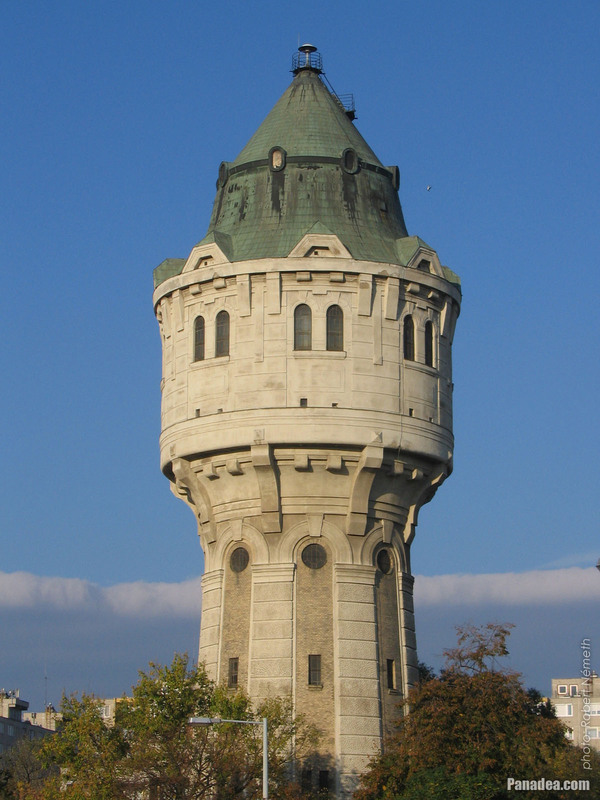 The water level of the Újpest Water Tower is 40 meters above the nearby Árpád Road, as well as 54 meters above the "0" level of the River Danube at Budapest. 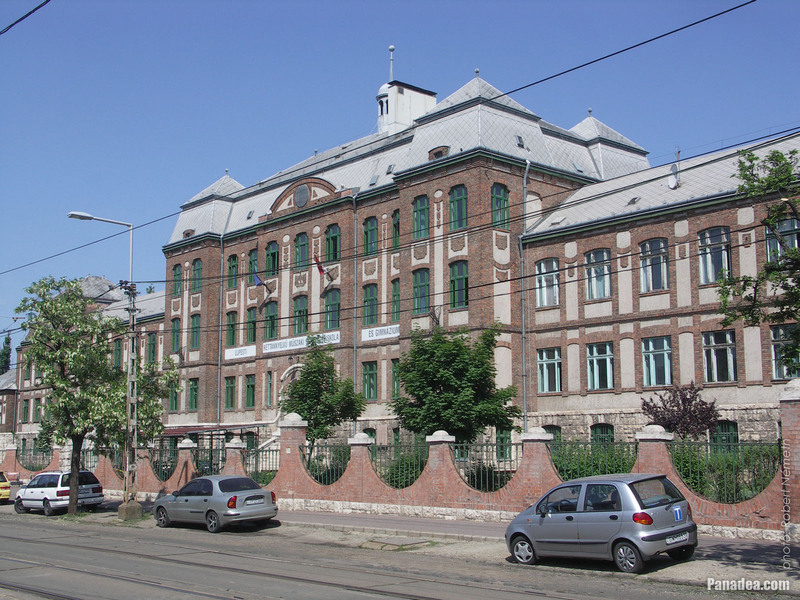 The total of 1500 cubic meters of capacity is practically enough to support even a complete settlement with population of 100,000 persons (at 150 liters/day/person water demand). 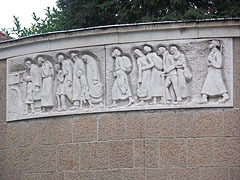 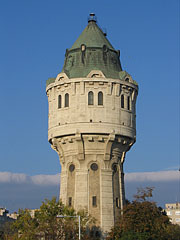 The water was taken from the wells of the Népsziget ("People's Island"). 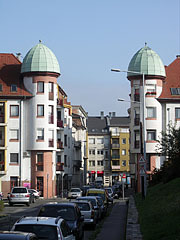 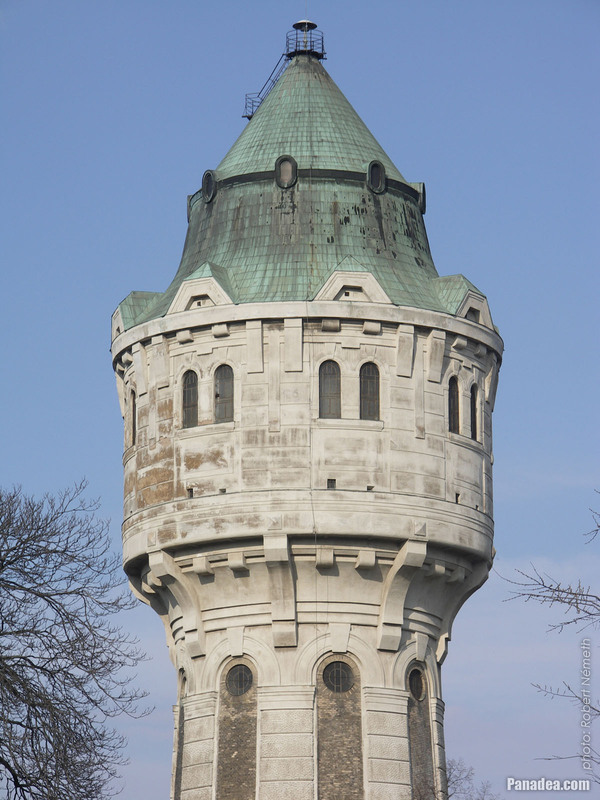 Right until 2003 the tower provided the water for the surrounding factories as well, but since then it is not operating and now it is an industrial monument. 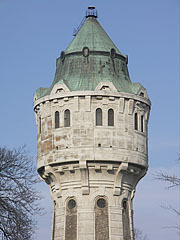 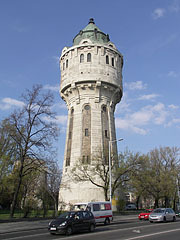 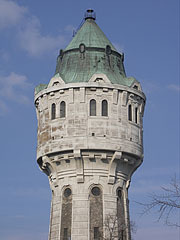 The water tower in Újpest was designed by dr. Győző Mihailich and Ödön Dümmerling, the brick and ferro-concrete building was completed in 1912. 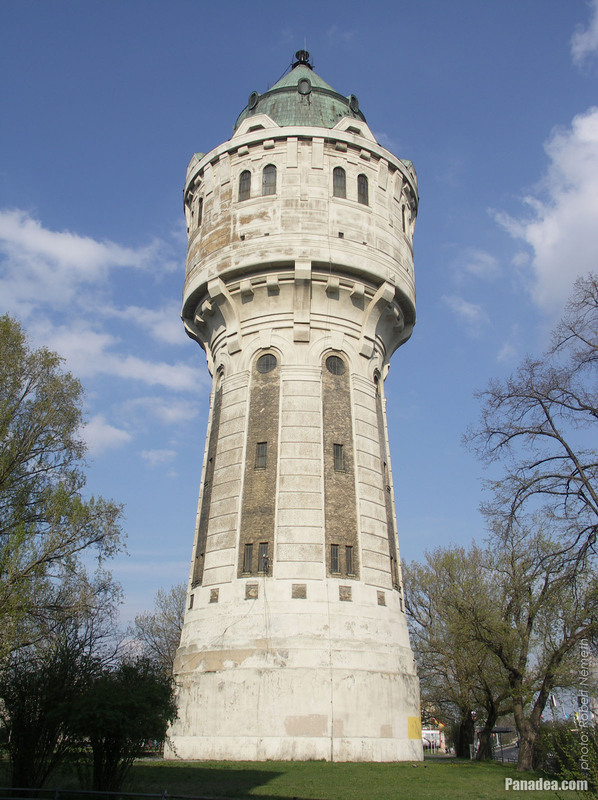 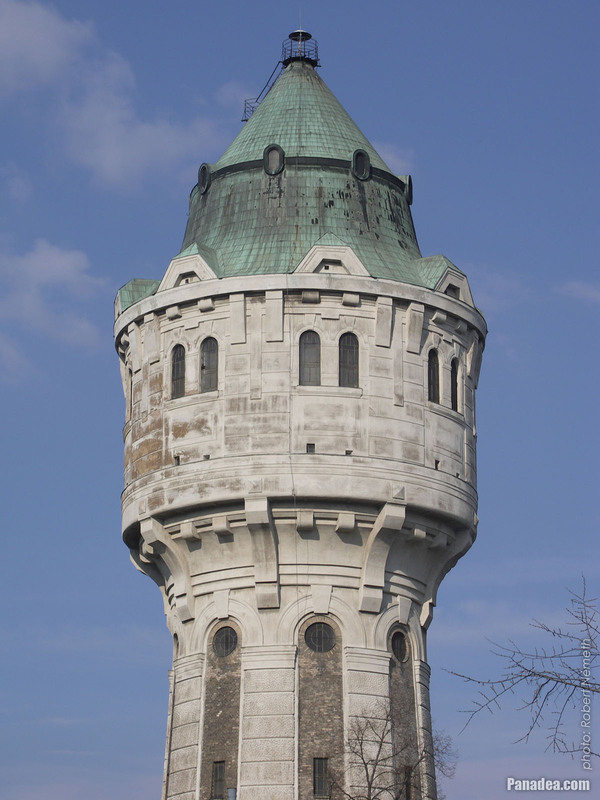 If the resistance groups wouldn't prevent the plan of the retreating German troops in 1944, then this beautiful water tower probably would not exist today, because the Germans wanted to simply blow it up like many other building in Budapest. 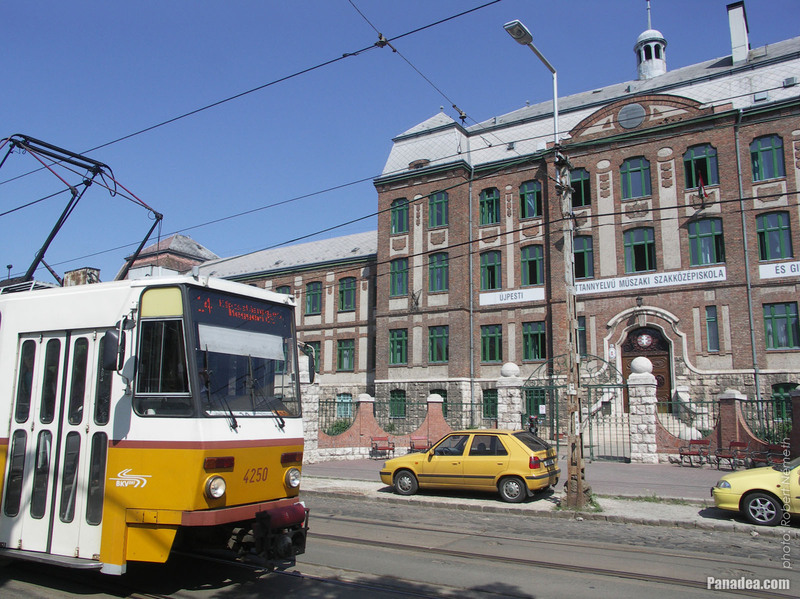 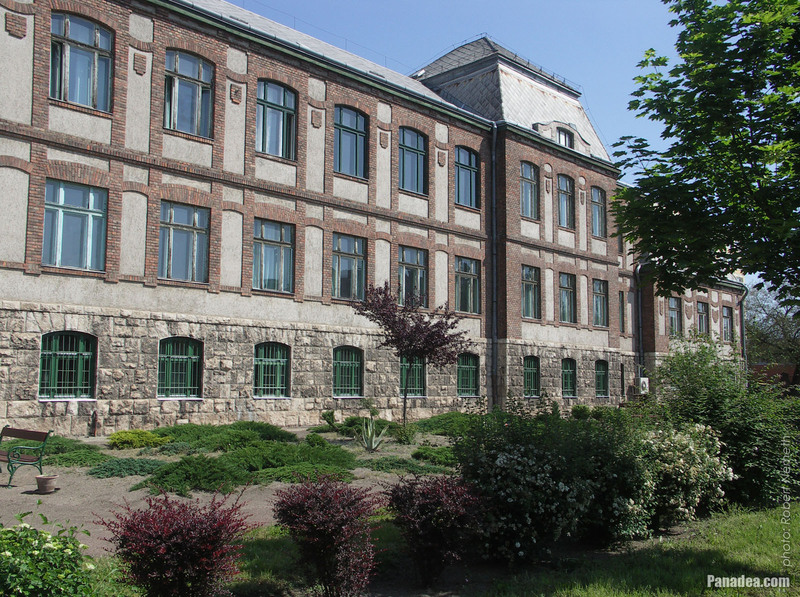 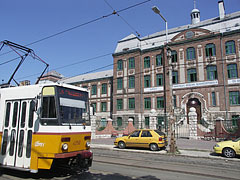 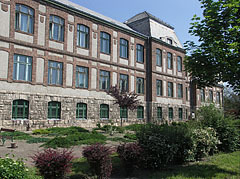 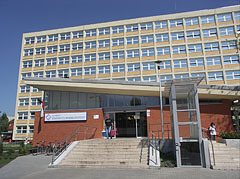 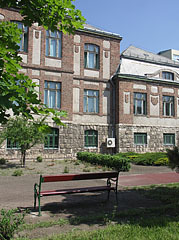 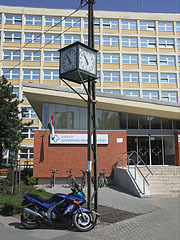 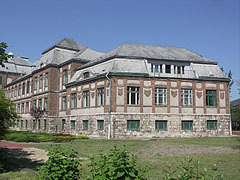 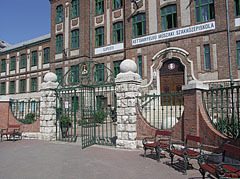 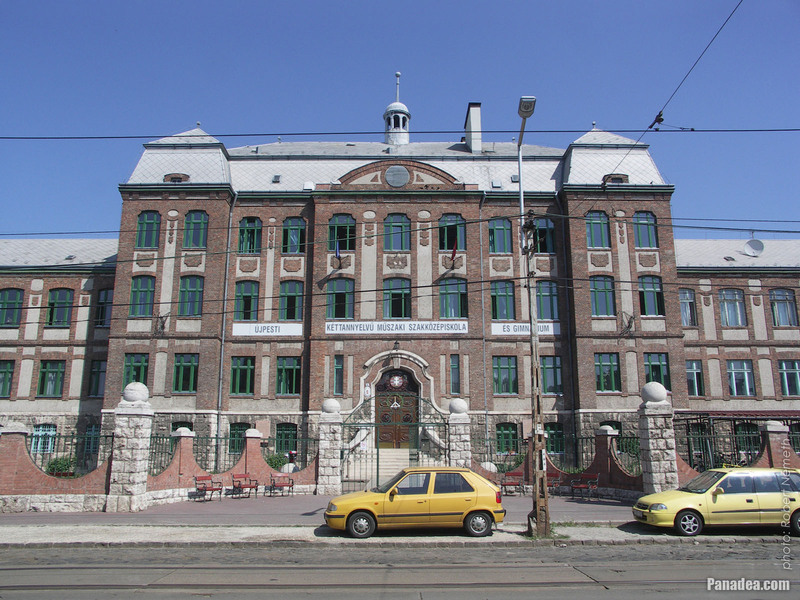 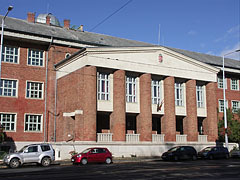 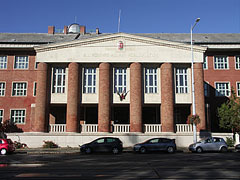 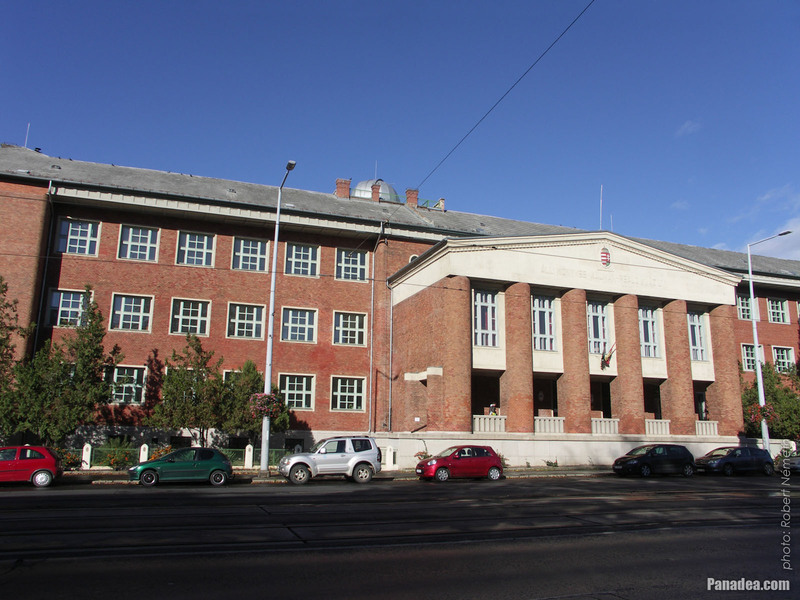 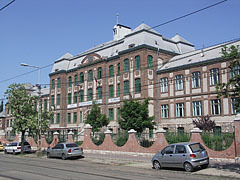 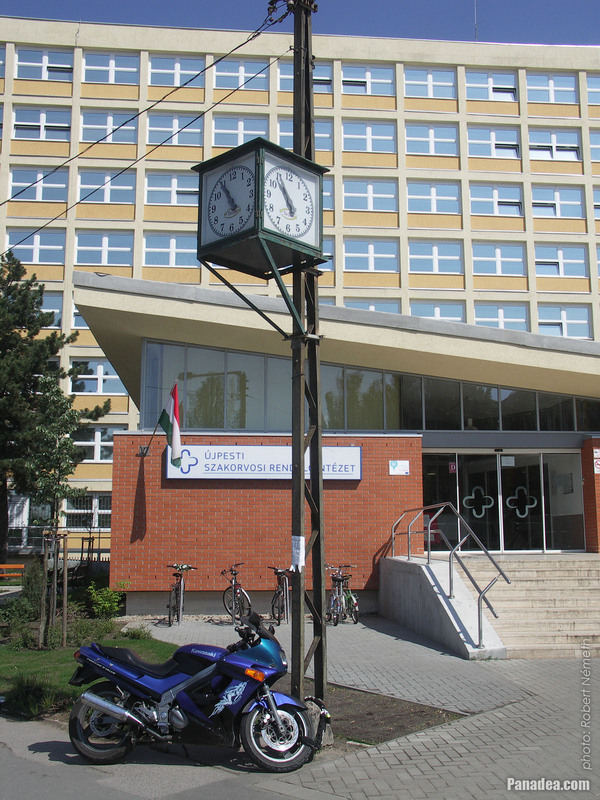 The current neoclassical style building of the Könyves Kálmán High School of Újpest was built in 1914, designed by Emil Tory and Móric Pogány. 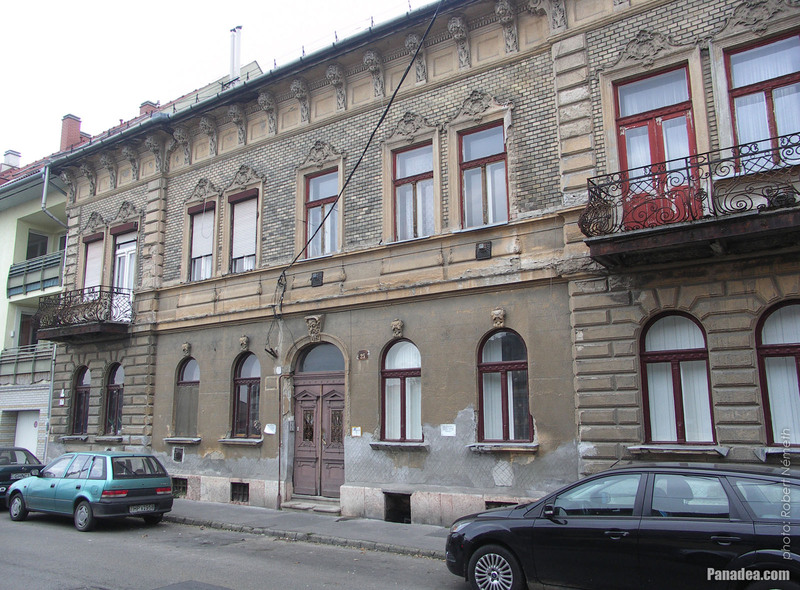 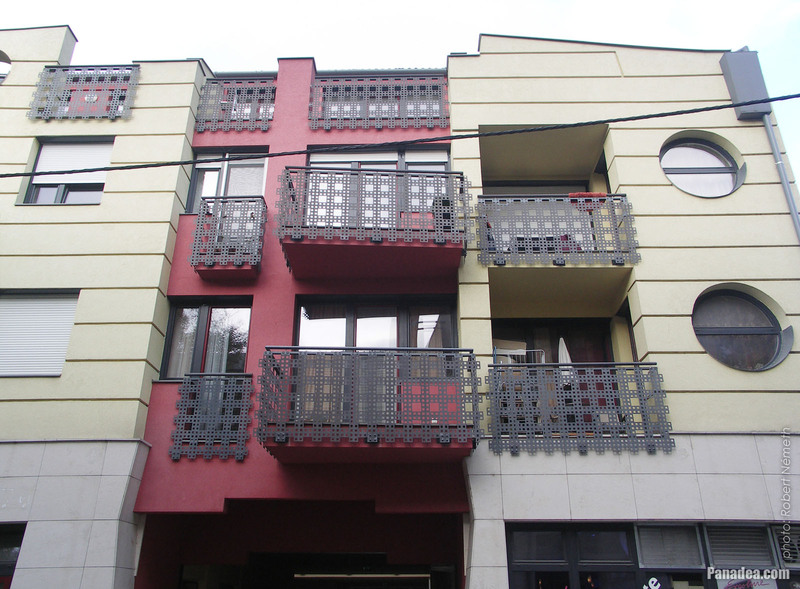 During the Hungarian Revolution of 1956 the building was hit by mortar and it suffered severe damage, but for today it is completely restored. 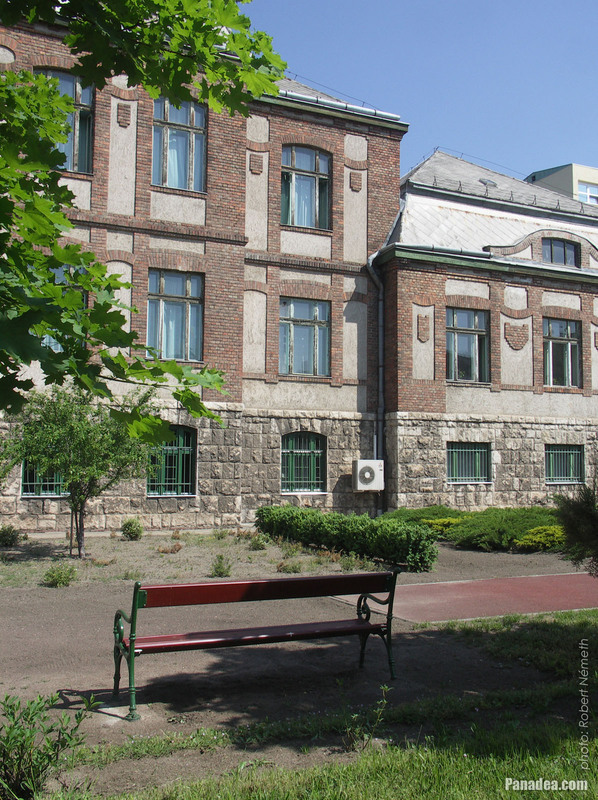 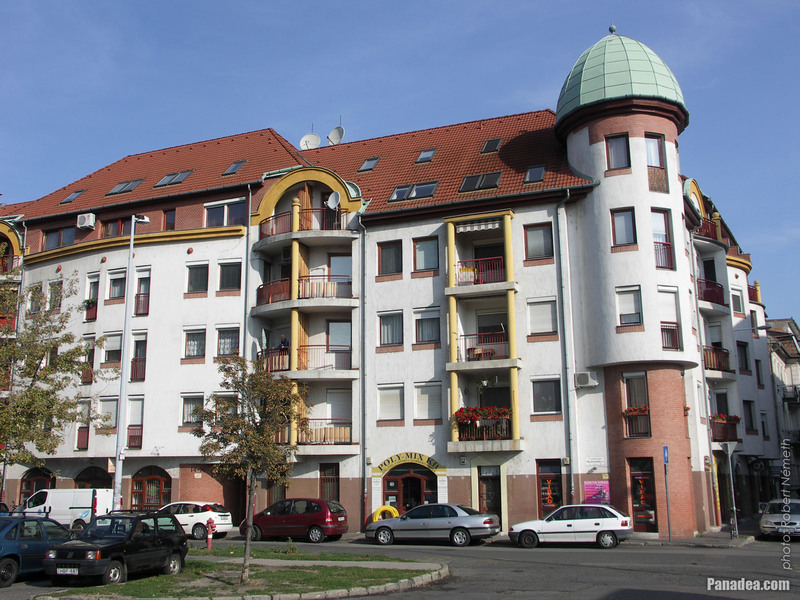 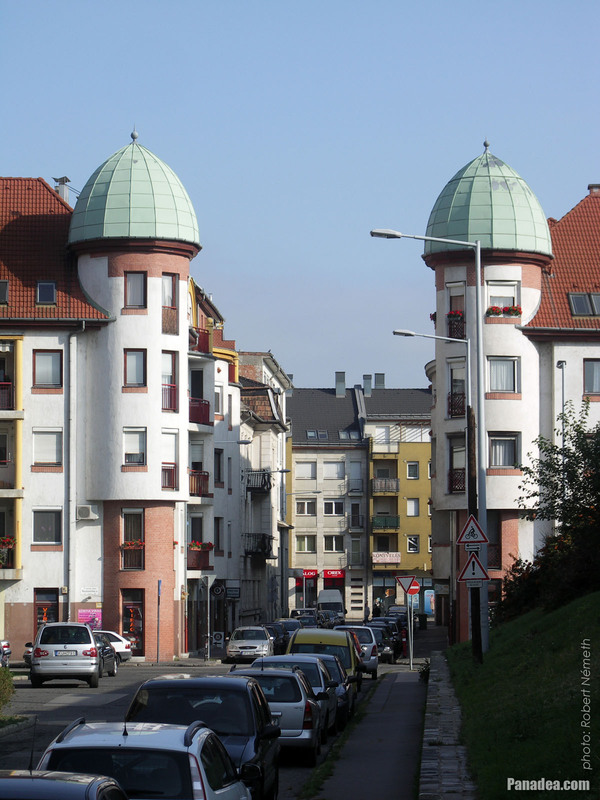 Moreover there is an astronomical observatory on the top of the building, it is the so-called Kulin Observatory which was built between 1950-1954 and named after the Hungarian astronomer György Kulin, who was also a teacher in this school between 1949-1953. 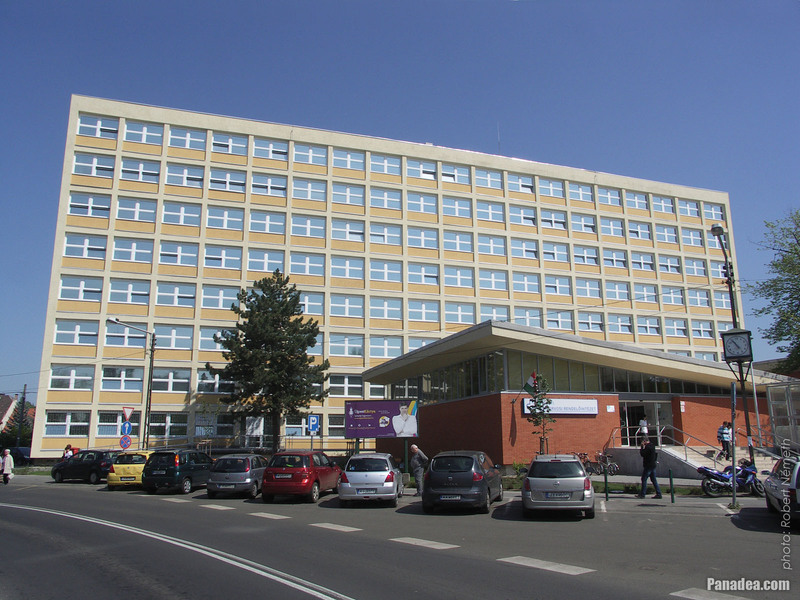 In Hungary the specialist medical clinics (outpatient polyclinics) were called "SZTK" for long time and sometimes even today. 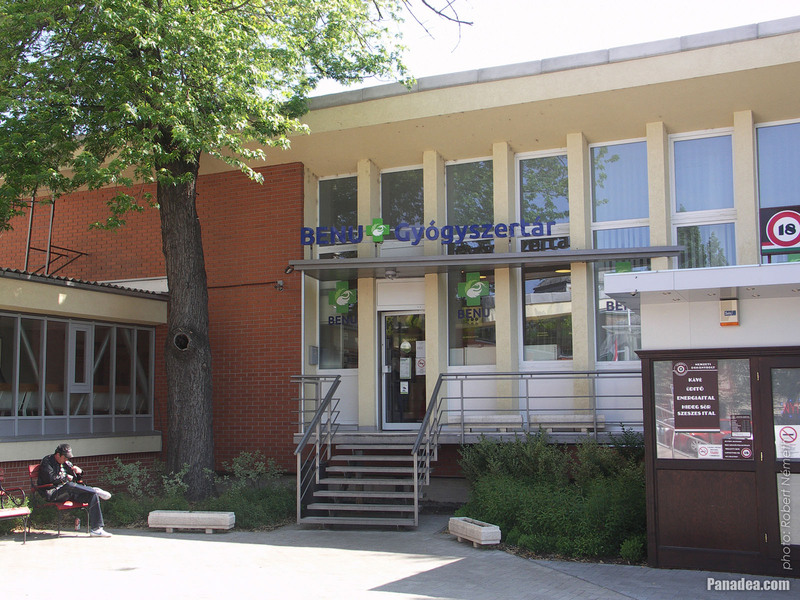 However in reality this acronym didn't mean the medical institution but the health insurance bureau behind it, this abbreviation stucked to the outpatient polyclinic buildings. 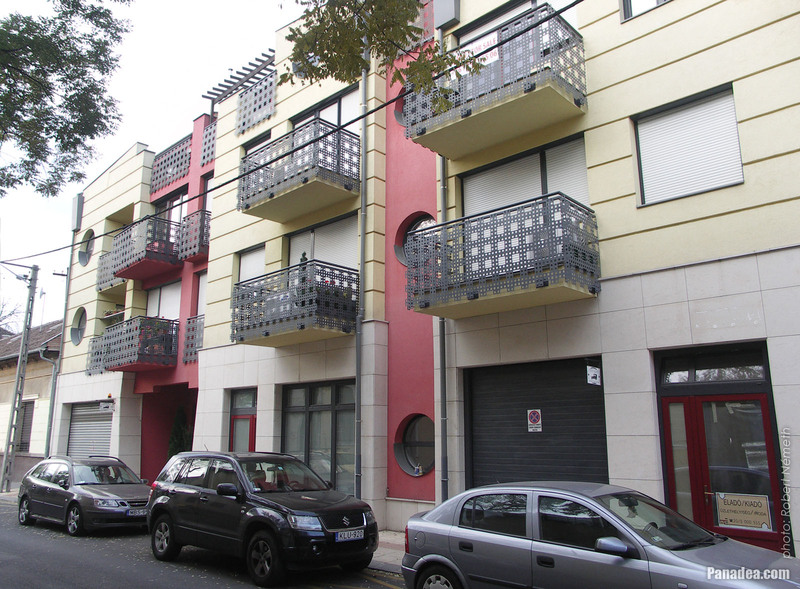 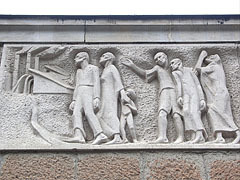 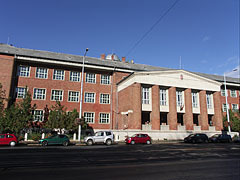 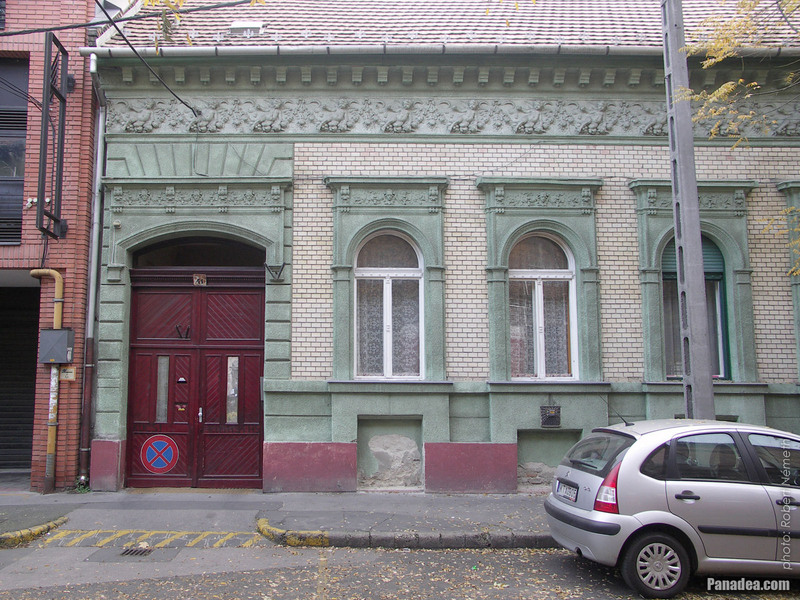 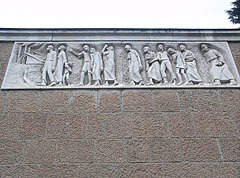 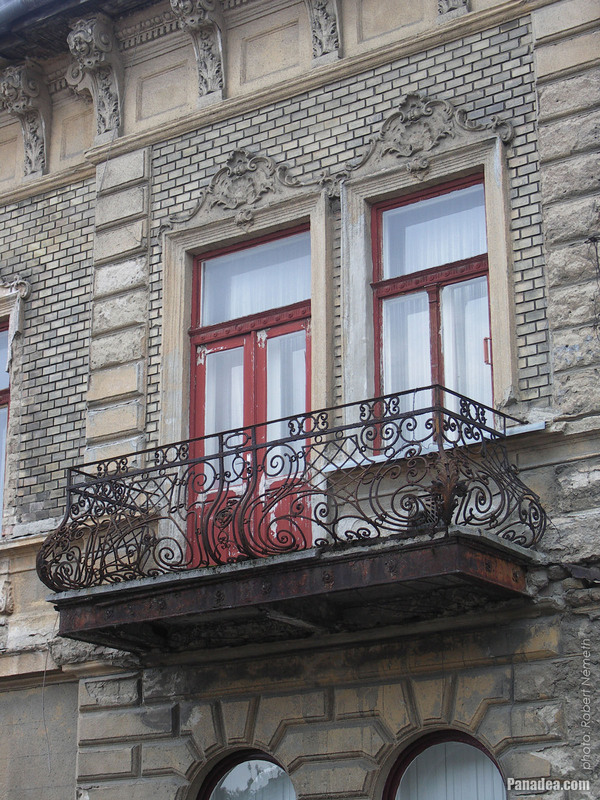 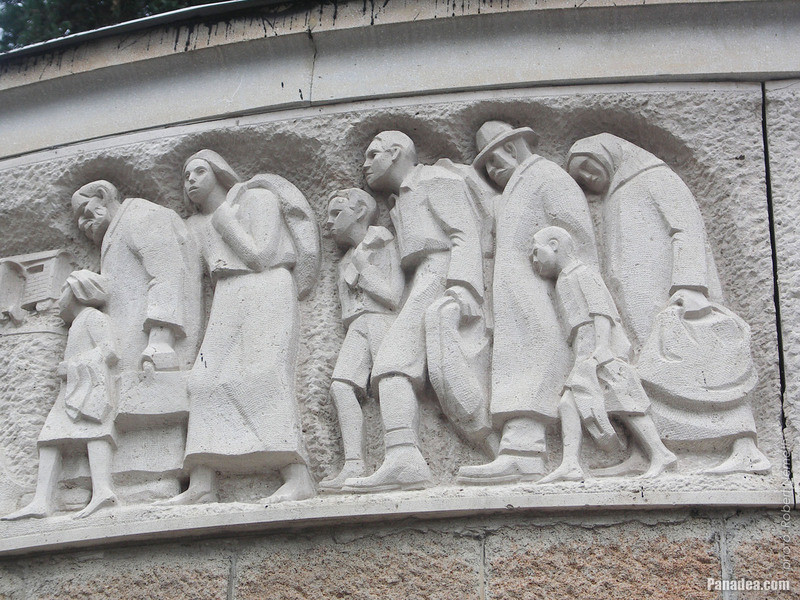 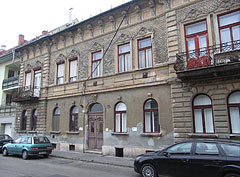 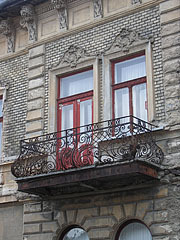 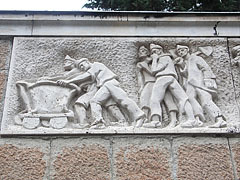 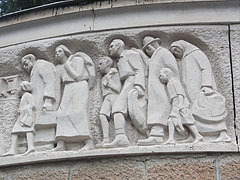 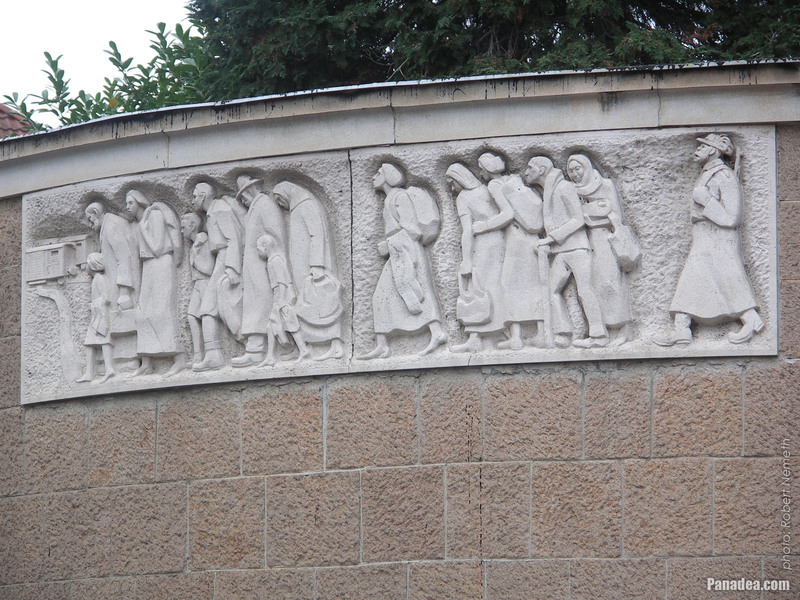 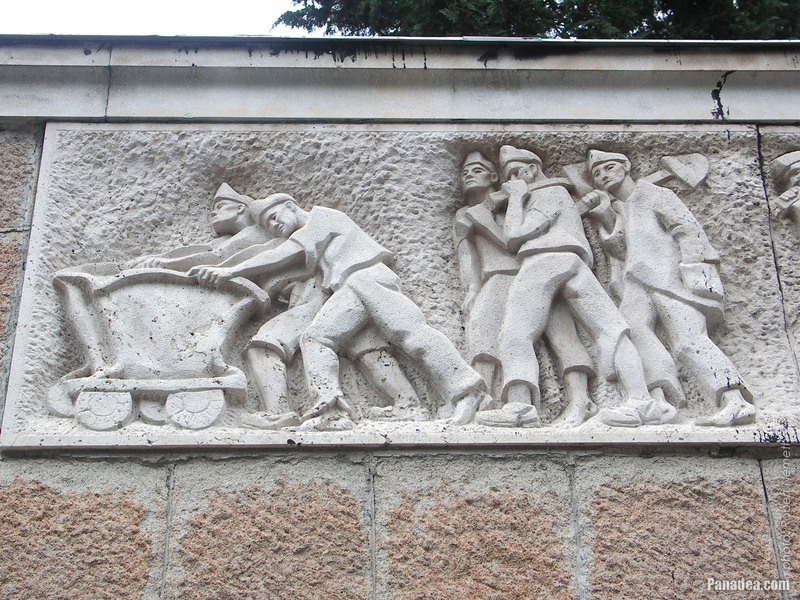 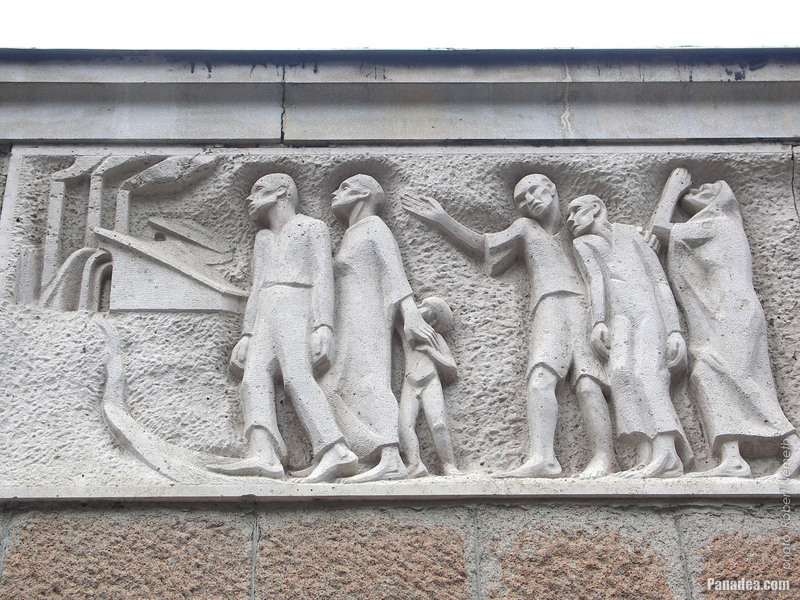 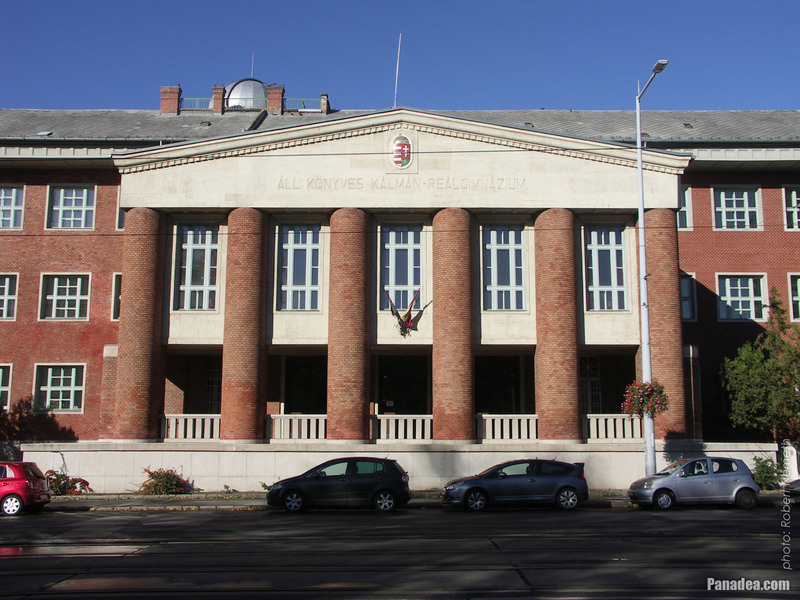 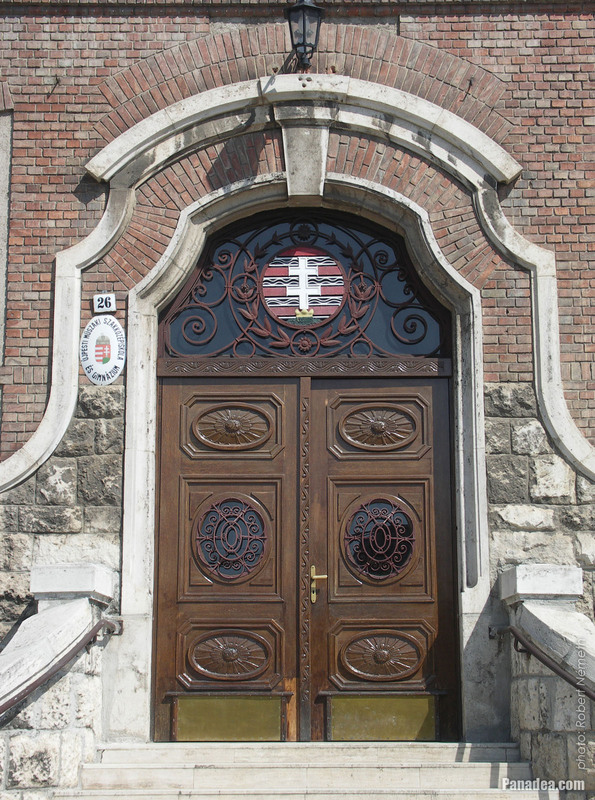 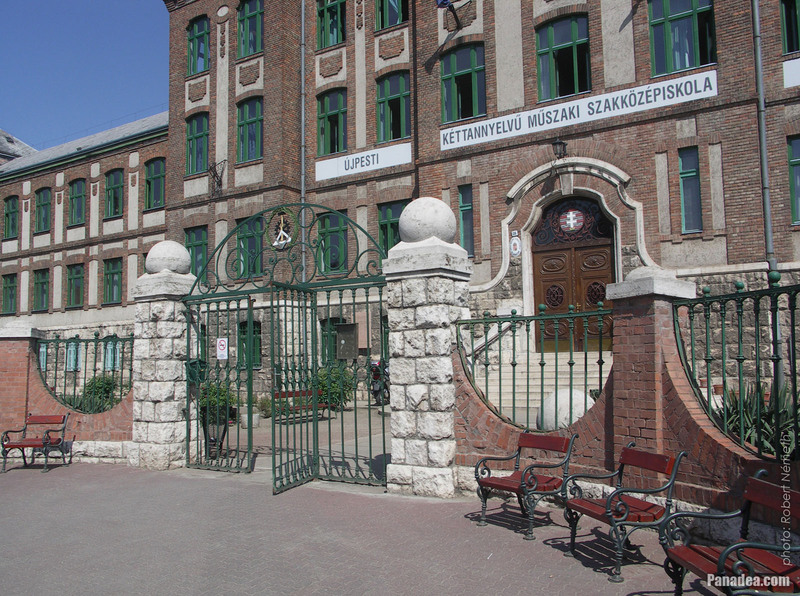 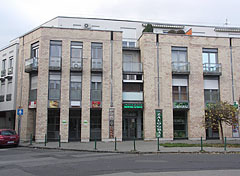 The word "SZTK" means: "Center of Social Security of the Trade Unions" (in Hungarian "Szakszervezeti Társadalombiztosítási Központ"), it was established in 1950 after the hospitals and other assets of the predecessor "National Social Security Institute" ("Országos Társadalombiztosítási Intézet" or OTI) were deprivatized. 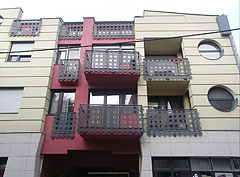 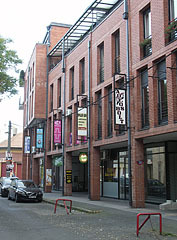 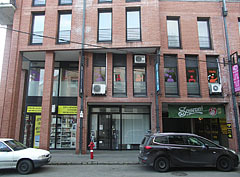 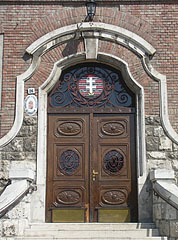 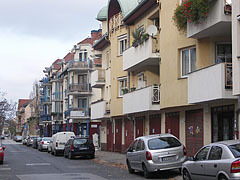 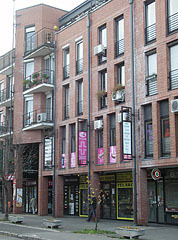 The new organization was supervised by the National Council of Trade Unions ("Szakszervezetek Országos Tanácsa" or SZOT). 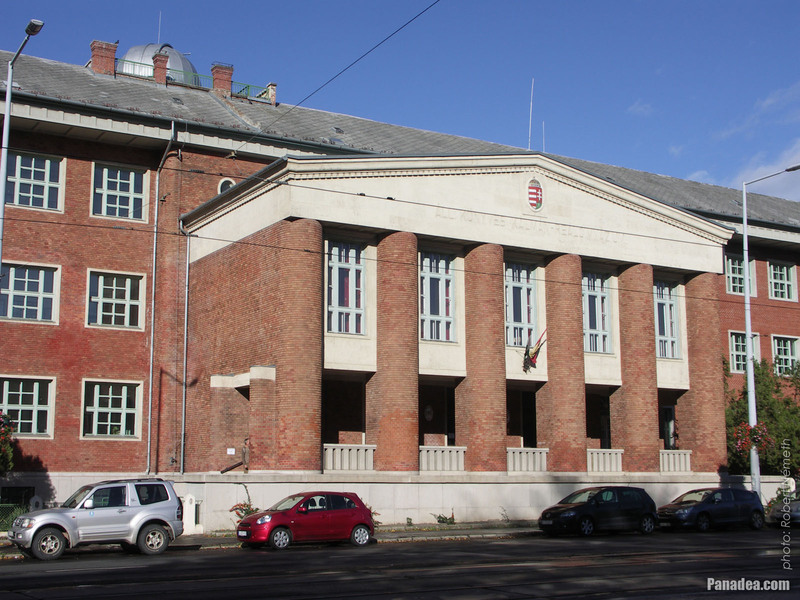 Otherwise from the 1960s all agricultural workers and from 1975 every Hungarian citizen got automatic entitlement to health care in Hungary, and the insurance-based system was ceased. 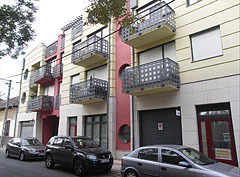 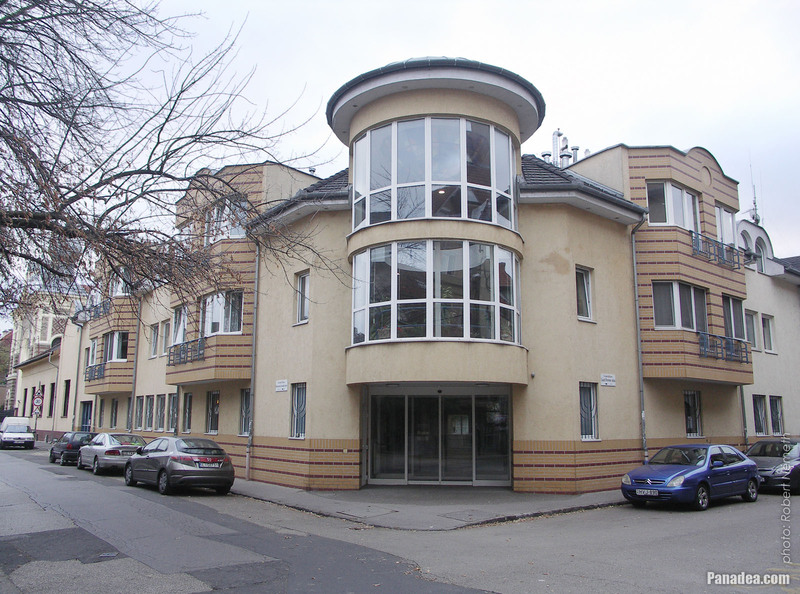 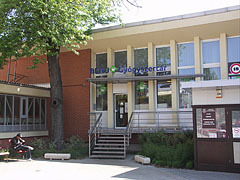 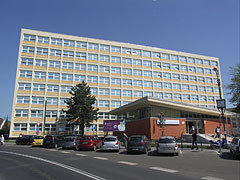 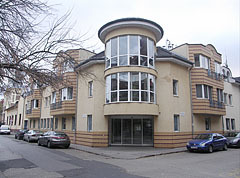 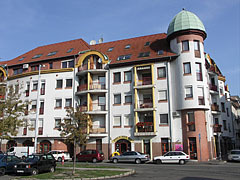 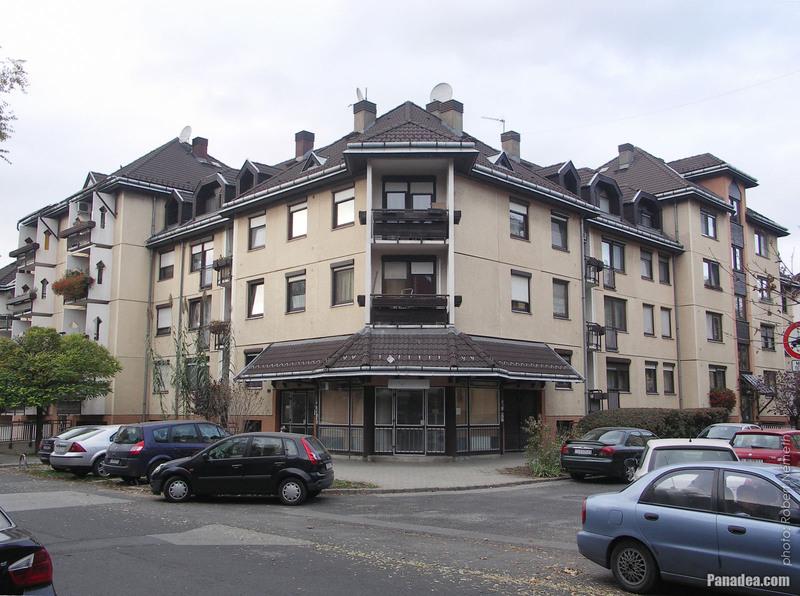 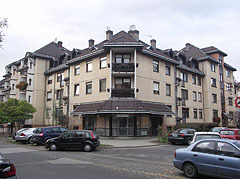 After the political system change of Hungary in 1989 the "SZTK" as a bureau was ceased, its successor is the National Health Insurance Fund (in Hungarian "Országos Egészségbiztosítási Pénztár" or OEP), which brought back the insurance-based health care system, although in a different form. 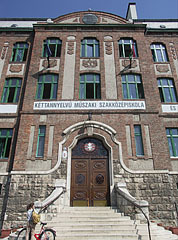 Nevertheless, the "SZTK" acronym is still existing even today in the form mentioned above.